This picture is from the first time I ever stepped foot on the PCT. Hey guys! My name is Erika Courtney. 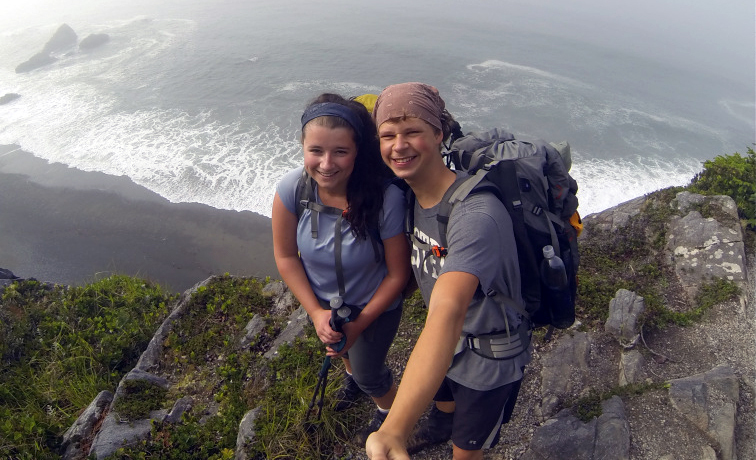 I am a Topo ambassador and I am currently preparing for an adventure of a lifetime! 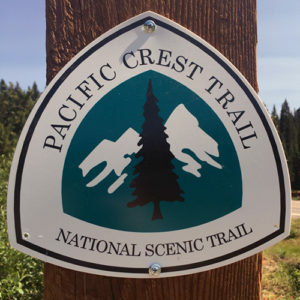 On April 18th, my boyfriend Nick and I are setting out to hike the 2,650 mile length of the United States, from Mexico to Canada, also known as the Pacific Crest Trail (PCT). Our journey will start in Campo California, skirting the border with Mexico. We will travel north through the California desert, the Sierra Mountain Range, Northern California, Oregon, and Washington’s North Cascades before crossing the border into Canada and ending the trek in Manning Park, British Columbia. This adventure will take approximately 5-6 months to complete. Five years ago, hiking was at the very bottom of my list of things to do for fun. It’s funny how life changes! When I met Nick, he was already into hiking and outdoor activities. I went on my first backpacking trip with him shortly after we started dating and it’s safe to say I was hooked. Our first backpacking trip together. After Nick and I graduated from University, all we could think about was the trail. We started planning and talking about it like it was going to happen, and then it did. Slowly but surely, the trail was now something we were doing rather than something we wanted to do. As new graduates, we both had all this free time and we knew we may not get another chance to just take off for 5 months. The time was now. My first time trying Topos on a hike. We are now a week away from our start date and couldn’t be more excited! I’m stoked to have Topo along for the ride. When I first tried on the Terraventure it was comfortable from the get-go and I knew it was the shoe for me. The 3mm drop, wide toe box, rock plate, and cushy EVA midsole checked all the boxes on my list and will be perfect for my long-distance hiking needs. Here’s a test hike video where I explain more about my hike and why I chose Topo to accompany me on this trip. Be sure to follow along on Instagram and YouTube to see where my Topos take me!